Forefront Endpoint Protection (FEP) has moved to the Core Client access license. For many clients this means that they now are automatically licensed for FEP. The BitLocker Administration and Monitoring tool is available in beta as part of MDOP and will have SCCM integration. Windows Intune — Microsoft’s cloud-based offering for managing and securing Windows desktops. Microsoft announced that the roadmap for Intune is moving towards feature parity with SCCM. The Microsoft Management Summit announbced that the System Center 2012 beta is now available for download. The biggest backend changes for administrators include a new application model and a new hierarchy model. New features are focused on the movement towards end users and IT departments working together rather than having IT departments dictate to end users. It involves trends like employee owned devices (BYOC) and anywhere/anytime application and data access. Intelligent self-service application delivery is based on policies that may be triggered by location, device, etc. This leverages application virtualization and streaming techniques. We hope you found the “Financial Planning, Budgeting, and Forecasting in the New Economy” white paper by Aberdeen Group educational and helpful. Amongst other things, you learned that a well-prepared budget forms the foundation for decision-makers throughout the fiscal year. What’s more, you learned that companies that hope to achieve Best-in-Class status must be armed with tools that provide visibility and flexibility to strike a balance between aggressive plans for recovery and caution. It’s now time to hear how PROPHIX financial consolidation and reporting systems empower you to spend more time on the analysis of your key performance indicators. Take the PROPHIX 8-minute Online Demo! Take this opportunity to learn more about the new and exciting features just released in PROPHIX, and how your current business planning and reporting challenges can be eliminated. 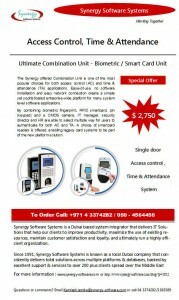 Do you need an access control and time and attendance, that can be implemented fast, at a reasonable price?. ACTAtek SmartTime, is a full featued, enterprise level Time and Attendance software incorporating labor cost management and job rostering facilities in a single solution. ACTAtek Access Manager is a Web based application (Client-Server Architecture). Use Access Manager, to collect ACTAtek Event Logs and to synchronise User Data e.g. Fingerprint Template and Access Group/Rights etc. in one system. For a web-based, biometric, RFID smartcard platform for Enterprise-wide Solutions in Access control and Time Attendance systems ACTAtek is one of the leading manufacturers. 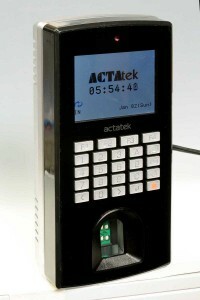 Use ACTAtek in standalone mode without need for a dedicated architecture, or operate in a multiple device, network environment. ü Programmable F1-F4 function keys are available. ü Video Camera support including snapshot taken & streaming video output is available for monitoring/security purpose. ü New FP scanner-”FLI model” is introduced to support up to 1:3000(1: N) Auto match users. ü New Web-based “Access Manager” software is introduced to work on both ACTAtek2 and ACTAtek3 for backward compatibility. The Release Candidate (RC) for System Center Advisor was launched at the 2011 Microsoft Management Summit in Las Vegas. Four new Cumulative Updates (CU) released from Microsoft for SQL Server. SQL Server 2008 g CU13 for SP1 and CU3 for SP2. No releases yet for SQL Server 2008 R2 . Best-in-class organizations develop accurate budgets and improve their forecasting capabilities each and every day. Tools that provide increased visibility and flexibility allow such companies to make effective decisions that impact their corporate performance and profitability. Compare your organization’s processes with those that successfully manage unexpected financial stresses whiuch they effectively predict and mitigate to make sound and informed decisions that align with corporate objectives. PROPHIX offers you this free report from Aberdeen Group, that reveals the strategies that Best-in-Class organizations use to achieve budget and forecast accuracy along with improvements in the area of profitability. This $399 “Financial Planning, Budgeting and Forecasting in the New Economy” report by Aberdeen Group is offered to you free by PROPHIX. Watch the 8-minute PROPHIX online demo to see an end-to-end Performance Management solution for budgeting, forecasting, reporting, consolidation and personnel planning in action. Gogobeans released a mobile app today that is intended to minimize clicks when sharing information. Like the Bump app, users can share contact info. Gogobeans goes virtual – share information with a contact thousands of miles away just by shaking a mobile phone at the same time. Yes you literally shake the phone so make sure its well built! Users can also share large files using a digital locker (also free), and share the data by sending a message to friends. Gogobeans is compatible with both iOS and Android platforms. Microsoft released Internet Explorer 9on March 14. See http://www.beautyoftheweb.com/. , Microsoft has stripped out from the interface everything nonessential and reduced the size and prominence of the remaining widgets to emphasise the Web content which invites comparsion with Chrome. IE9′s best features stem form its tight integration with Windows 7 e.g. the ability to drag-and-drop a Website tab to the Windows 7 taskbar,and to transform it into an icon which when right-clicked, opesn up a “jump list”of one-click links to that Website’s main content. Windows 7 users can “Aero Snap” their browser windows to the left or right of the screen, to organize multiple Websites or to view two Web pages side-by-side. .
IE9 is however incompatible with Windows XP - with around 55% of PCs still running XP this will impact user adoption. IE9 is also compatible with the much less popular Windows Vista . Security features include InPrivate Browsing for Web surfing without leaving any traces a nd a SmartScreen Filter to evaluate suspect Websites based on their reputation with pop-up windows and lists of suggested actions. Tracking Protection lets users decide which types of information they want viewable by third parties. As we predicted in this blog last year Microsoft’s share of the browser marekt has declined and stands at 56.77 percent, down from the 68.46 percent it held in March 2009. Microsoft has released Windows Small Business Server 2011 - SBS 2011 Standard and the optional SBS 2011 Premium Add-on. Microsoft lists the release date for SBS 2011 Essentials as 1H 2011. According to Microsoft, two SBS 2011 editions exist. However, Microsoft considers the SBS 2011 Premium Add-on (at $1,604) to the ($1,096) Windows Small Business Server 2011 Standard platform) and not a separate edition. The $545 Windows SBS 2011 Essentials package, has a 25-user limit. Organizations needing to deploy additional servers within their SBS environment must purchase the SBS 2011 Premium Add-on. The add-on includes a Windows Server 2008 R2 Standard license, which enables deploying a second server on a Windows Small Business Server 2011 network. The Premium Add-on also enables adding virtual servers running within a Hyper-V environment in an SBS 2011 network. Thanks to the power of Microsoft’s Exchange Server 2010 Service Pack 1, email services included in SBS 2011 are robust. Included Outlook Web Access (OWA) services mimic Microsoft Office Outlook much more than previous versions. An improved Microsoft Exchange Management Console provides a single location for administering user email. The power of Exchange 2010’s advanced retention policies and deployment rules, and new archiving options, all become available on the SBS platform with the 2011 edition, as does automatic mailbox and database corruption detection and repair. Windows Server Update Services, had a tendency to consume gigabytes of disk space, often on incorrectly partitioned C volumes. SBS 2011 benefits from WSUS 3.0 Service Pack 2, which simplifies patch and update management. Windows 7 support is included, as is BranchCache, which enables storing file and Web server content at branch locations to reduce WAN traffic. Numerous other performance enhancements and bug fixes are also included in the SP2 version. Windows SBS 2011 Essentials requires no client access licenses (CALs). Yes. You read that right. SBS 2011 Essentials requires no CALs. Microsoft must have discovered that small offices don’t track CALs well and are simply confused by the concept. SBS 2011 Essentials includes those costs within its server OS license, further simplifying deployment and administration within small organizations. While CAL requirements are eliminated within the SBS 2011 Essentials edition, the platform can’t be used in larger offices. Interesting, SBS 2011 Standard and Premium Add-on CALs suites are not concurrent, - separate CALs are required for every user accessing the SBS 2011 server. Microsoft has an excellent FAQ, providing more licensing information, on its Web site.
. The SBS 2011 release includes Microsoft SharePoint Foundation Services 2010 to fuel secure online internal communication. The newest SharePoint version helps organizations reduce costs by consolidating multiple sites on an intranet administered locally, which makes it easier to share files and coordinate calendars. It also includes native monitoring, alert, and administration tools. Zap Business Intelligence 2011, is a web-based business intelligence (BI) software for Microsoft Dynamics AX, NAV and CRM. Major enhancements to the product include new and improved data visualization and analysis capabilities, enhanced SharePoint support, multi-browser support, and mobile BI for iPad users. Zap Business Intelligence 2011 can be used with many different data sources, but Zap offers out-of-the-box Microsoft Dynamics BI solutions for AX, NAV and CRM with additional packaged capabilities. The Zap CubeXpress productivity tool makes it easier to create a SQL Server data warehouse and Analysis Services cube for a SQL Server or Microsoft Dynamics AX, NAV or CRM data source. Anti-government protests have now spread to several Gulf countries including Bahrain, Oman and Saudi Arabia although there have been no signs so far of protest in the UAE where a high expatriate population, a cushion of high oil prices and there has been positive government actions. But of course the real tragedy that dwarfs everything else is the dreadful news from Japan. The name Tsunami is no longer an obscure scrabble winning word, but twice in the last decade has struck real terror. So whatever your religion spare a thought and a prayer for those not so lucky. Whatever our moans about the heat, the traffic, the rents, the price of food, recession, etc right now Dubai does not look such a bad place to be. MindManager – what is it? MindManager’s visual information maps (mind maps) start with a central theme, and then add branches with ideas, notes, images, tasks, hyperlinks and attachments. Easily import from, or export to, Microsoft Office. Use MindManager maps to capture and organize information, and you’ll quickly transform your thoughts and ideas into fine-tuned documents, compelling presentations and winning strategies. MindManager gives you with a better way to brainstorm, organize facts, plan projects, and communicate results. The goal is to provide a free-flowing chart, making even the most complex goals visible. This is accomplished through a flexible set of tools to map agendas, priorities, people working on the project, deadlines, and more, all with the ability to update and change. SharePoint licenses have surpassed the 100-million mark and more than 17,000 customers use SharePoint. Office and SharePoint teams recently disclosed that Service Pack 1 (SP1) will include some minor updates and should be expected in the usual time frame of 12 to 18 months after the products launched. Project 2010 SP1 will also be a part of the same Service Pack. We believe that the portfolio management process incorporated in EPM 2010 is really a best-in-class solution . . .
We find reporting in EPM/SharePoint 2010 very powerful and considerably easier than in many other PPM platforms, including . . . CA Clarity. The breadth and strength of the Microsoft SharePoint collaboration platform give the Microsoft EPM platform its greatest competitive advantage. No other PPM product supports the range of solutions that the Microsoft EPM platform can support. IDC’s most recent MarketScape also positions Microsoft as a leader in the Enterprise IT PPM and Application Lifecycle Management (ALM). You can download an excerpt taken from the “IT Project and Portfolio Management 2010 Vendor Analysis – Four Views to Enable Effective Evaluation” from http://idcdocserv.com/225802E_MSFT. The other two views in the report were the SaaS and Financial Market views in which Microsoft placed as a contender and major player respectively. The recent release of the Visual Studio Team Foundation Server 2010 and Project Server Integration Feature Pack which further strengthens Microsoft’s Application Lifecycle Management (ALM) Solution. The integration between Project Server and Team Foundation Server is a considerable advancement for organizations that want to bridge the collaboration gap between the Project Management Office and software development teams. Providing up to date insight into portfolio execution, alignment with strategic objectives, and resource utilization of software development projects by leveraging the quantitative data stored in different systems. Automating the exchange and sharing of project information across teams and improving coordination between teams using disparate methodologies, like waterfall and agile, via common data and agreed upon metrics. Enabling development and project management teams to collaborate and communicate project timeline and progress using familiar tools such as Microsoft Visual Studio, Project, and SharePoint. So if you’re looking to replace, upgrade or deploy a new PPM solution for your organization today, I recommend taking a look at Microsoft Project 2010!